What do you do if your parents make you attend a Christmas church service? Take a tip from this anonymous girl and use the time to practice your dance moves. The dance is appropriate: Much like the Macarena, going to church will eventually be a thing only old people do. 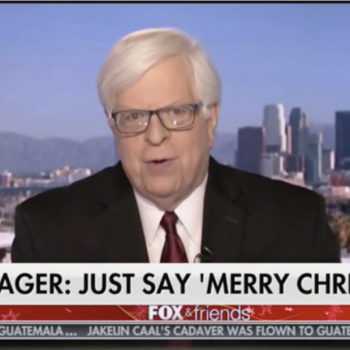 Kudos to the person taking the video, who also found a more entertaining way to pass the time. 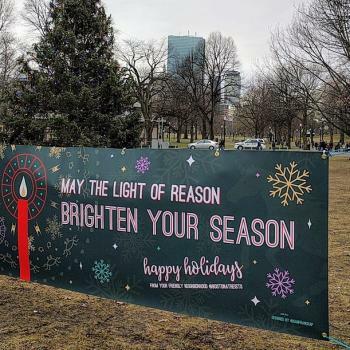 Sign on the Boston Common Reads, "May the Light of Reason Brighten Your Season!"